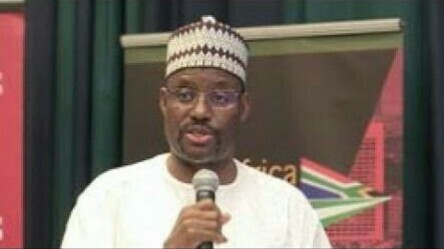 As individual and group calculations towards 2019 continue to shape and reshape the political landscape, Nigeria's Ambassador to South Africa, Ahmed Ibeto, has resigned. He has also renounced his membership of the ruling All Progressives Congress, and immediately decamped to the PDP. Ibeto was reported to have arrived Nigeria from Pretoria on Sunday and on Monday morning, he handed over his letter of resignation at the Ministry of Foreign Affairs. The Punch could not confirm if the envoy saw President Muhammadu Buhari before returning to Minna on Monday evening. Ibeto was a deputy governor of Niger State on the platform of PDP. Checks revealed on Tuesday that he had left Minna for his home town of Ibeto in Magama Local Government Area of the state. According to sources, the former deputy governor was received by over thousands of supporters on his way to Ibeto. A source close to him confirmed that he would join the state's governorship race immediately he registered with PDP. Ibeto was the vehicle on which the incumbent APC governor rode to victory, leading his campaign to all the 274 wards in the state.